The Royals have four All-Stars this year. Wade Davis obviously won’t play due to injury but Eric Hosmer and Salvador Perez are starting, and Kelvin Hererra will be an option out of the bullpen for manager Ned Yost. Let’s first recap the Home Run Derby last night, as a few things stood out to me. The new format is great, and it went better this year than it did last year. Giancarlo Stanton was unbelievable; over 80% of his swings were home runs. The best part about the home run derby was the time it took to complete the festivities. ESPN may have figured out that people won’t tune into a four hour home run derby. The Fall Out Boy performance and the National Anthem went by fairly quickly, ESPN paid their respects to the armed forces and then it was off. Once it started, it had a great pace to it. Aside from the T-Mobile CEO doing an interview talking about a charity, they didn’t waste time with nonsense. They interviewed all the players while the action was taking place, it went well. Good job, ESPN. As for the All-Star Game tonight, it sounds like managing this game is something Ned Yost has really embraced and truly loved. Eric Hosmer will hit 6th, and Salvador Perez will hit 8th in the American League lineup. Since Clayton Kershaw is hurt, and Madison Bumgarner just pitched Sunday, his teammate Johnny Cueto will get the start for the National League. Will be interesting to see Hosmer and Perez face off against their former teammates, but could likely not happen depending on how many innings Terry Collins decided to go with Cueto. I bet Hosmer gets an at-bat, Perez, maybe not. 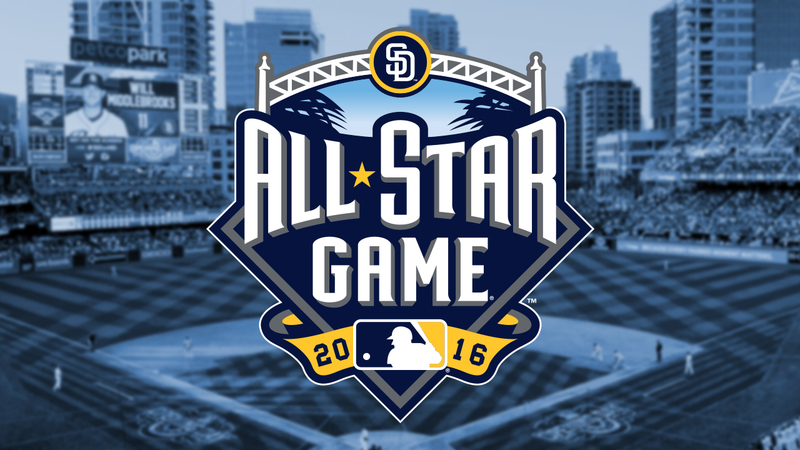 The MLB All-Star game is by far the best All-Star Game, and the only one that means something. This is a game that people take pride in, and go out of their way to watch. Look for the American League to win it again, as they have more healthy/available pitching. Ned may even pitch Chris Sale for 2-3 innings, who knows. You can hear it tonight on Sports Radio 810 with Baseball Tonight starting at 6. Tickets for Less is an Overland Park, Kans.-based ticket seller. We are one of the biggest sellers in the country of Kansas City Royals, Kansas City Chiefs, Kansas Speedway and Sprint Center tickets. To order, call 866-685-3322 or visit our website.